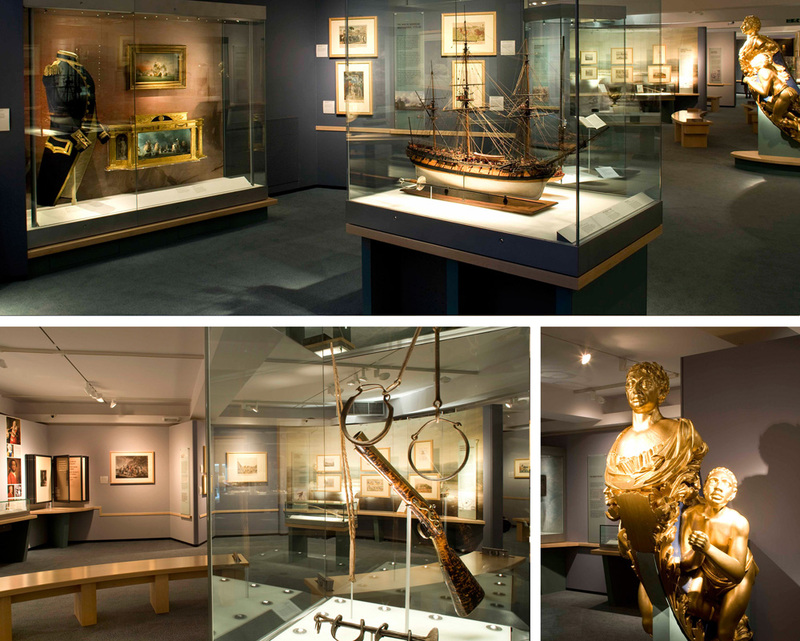 The Atlantic Connections gallery, designed by Ronayne Design, is situated within the National Maritime Museum and explores the interrelationship, connections and exchanges between Britain, Africa and the Americas between 1600-1850. 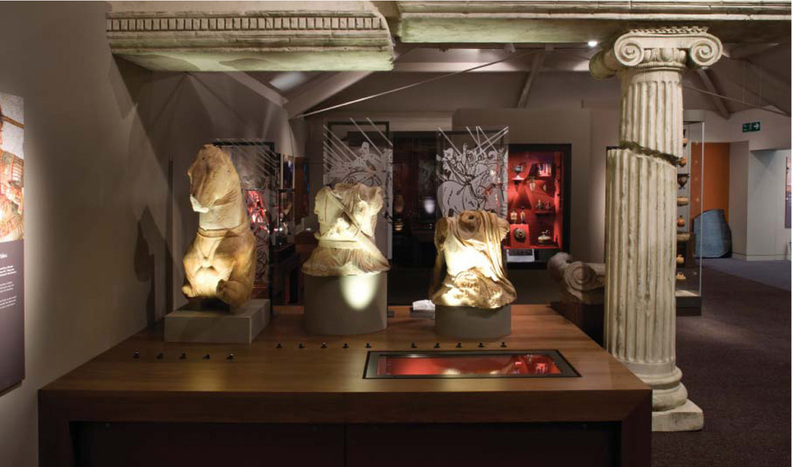 Whilst traditional in design, technology and interaction were introduced to seamlessly integrate between conservation grade showcases and and replicated artefacts. Beck were responsible for the entire fit-out including refurbishment of the existing gallery finishes. 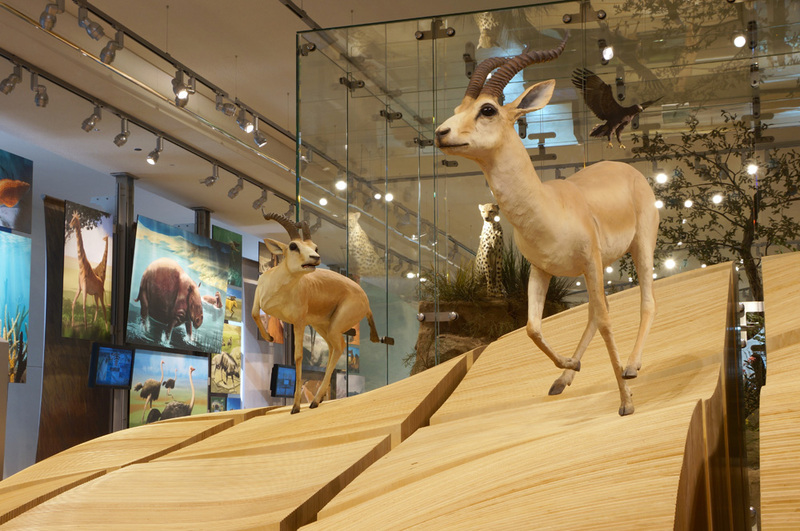 An integral part of the development of the Al Ain Wildlife Park and Resort, Beck were commissioned to undertake the exhibition fit-out, designed by Aldrich Pears Associates. It included pre-fabricated joinery designed to replicate sand dune formations using multiple layers of plywood with integrated interactives, graphics and sculptures. In addition to this, Beck were also responsible for delivering three individual theatres within the centre as well as we;; as a cave replica depicting the local caves of Jebel Hafeet. Beck were challenged with providing a wide variety of animal and bird sculptures withou the use of furs and feathers due to the nature of the project, and successfully delivered in excess of 100 species using specialist airbrush and painting techniques. 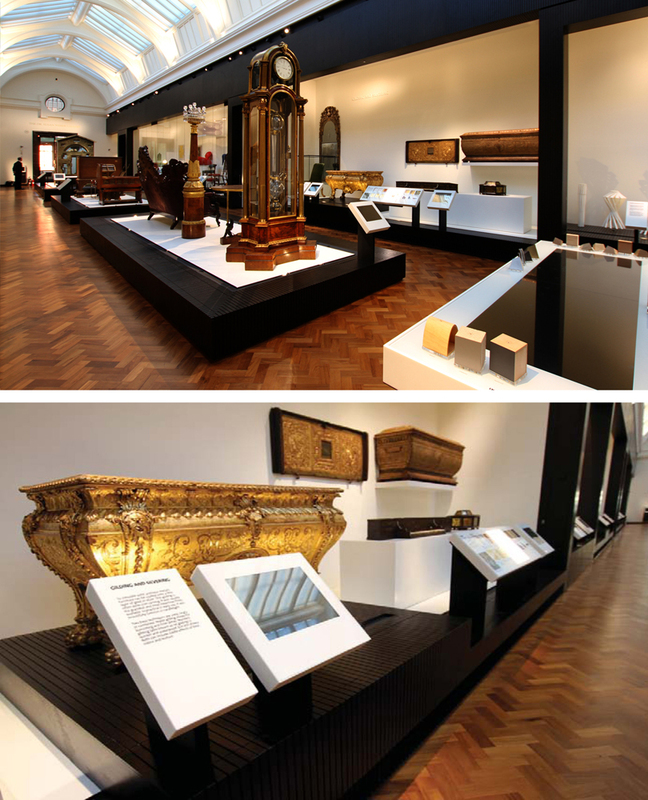 The all new Furniture Gallery provides a permanent home for the V&A's furniture collection. Designed by Nord Architecture, the gallery tells the story of the production of furniture across six centuries. Beck were responsible for the entire exhibition fit-out including the high specification bespoke joinery displays and solid surfacing. The installation also included a new environmental control system, daylight control louvre system, unique digital touch screen displays and interpretative ledges, upholstered bench seating, floor restoration and glazed doors. Having worked very closely with the client, design team and our specialist subcontractors, all Beck's elements were completed on programme and within budget. 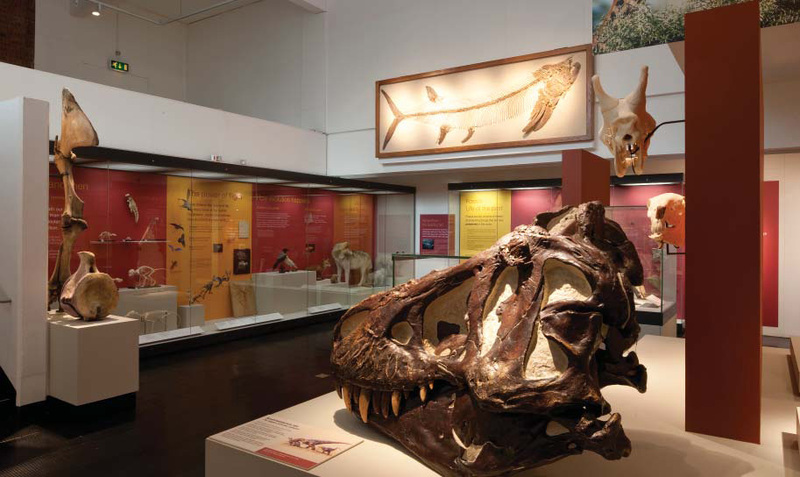 The award-winning Great North Museum, designed by Casson Mann, is the only natural history museum in the north of England, and is one of the area's top visitor attractions. Beck were appointed as the main fit-out contractor for the ten galleries acrss two floors. The galleries consist of a number of integrated themes spectacularly designed and combined into one seemless environment. A central model of Hadrian's wall is surrounded by large stone artefactrs and interspersed with display cases, graphic images and AV displays. Works included exhibit construction, showcases, electrical and lighting, graphics, models, interactives, audio visual, aquariums and vivariums, bespoke joinery and internal finishes. The Ulster Museum is one of the city's most iconic landmarks and the largest museum in Northern Ireland. The museum is divided into four levels and five zones - Welcome Zone, Art Zone, History Zone, Nature Zone and the impressive Window on our World exhibition: a three storey stainless steel and glass display tower. The eye-catching display showcases some of the museum's prestigious objects including a hung skeleton of a minke whale and the famous Belfast Chambers car. 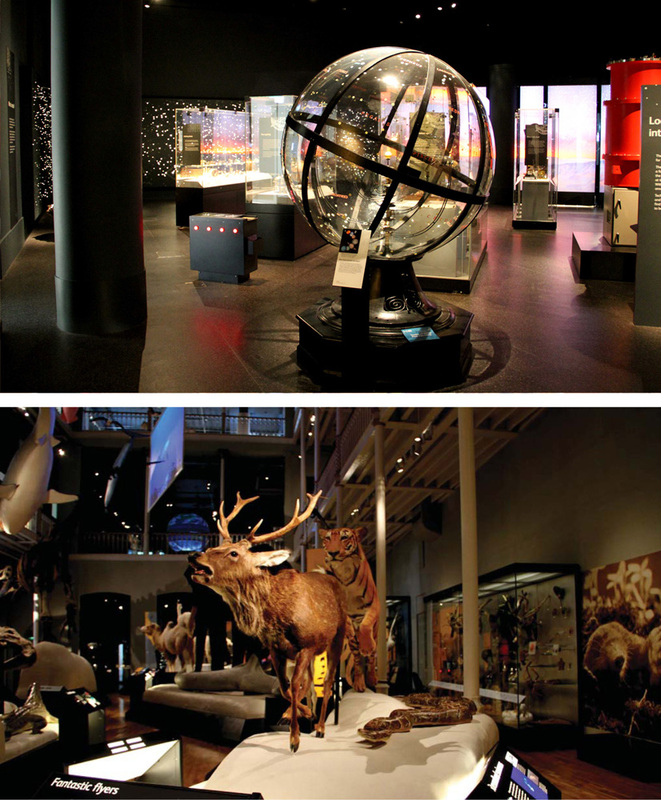 Beck were responsible for the project management and fit-out, display cases, scenic reconstructions, taxidermy, raised glass platforms, object installations, joinery, interactives, graphics, signage, AV and electrical, and lighting. 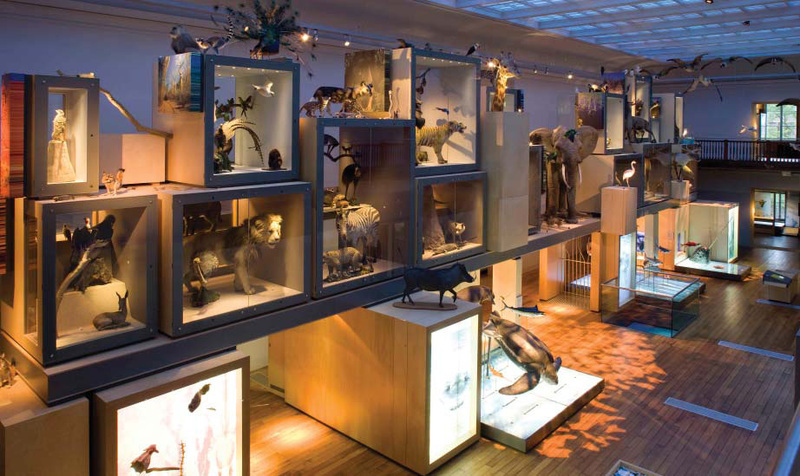 Located in the heart of Edinburgh, the Royal Museum Project designed by RAA reinvented the Royal Museum of Scotland, breathed fresh life into the displays and provided a new and enhanced visitor experience for the 21st century. The project encompassed the complete refurbishment of eighteen galleries throughout the museum. The project also included the grand gallery spaces on four levels. Beck co-ordinated the offsite fabrication and onsite installation of showcases, showcase fixtures, electro-mechanical interactives, graphic production, AV hardware, electrical and data distribution, cabling, exhibition lighting, a wide range of scenic and set works, open display plinths, artefact mounts, floor finishes, general decorations and structural rigging. Beck were set the challenging task to fit-out the Conoco Museum and the Phillips Museum in two Oklahoma towns 75 miles apart, opening on consecutive days. 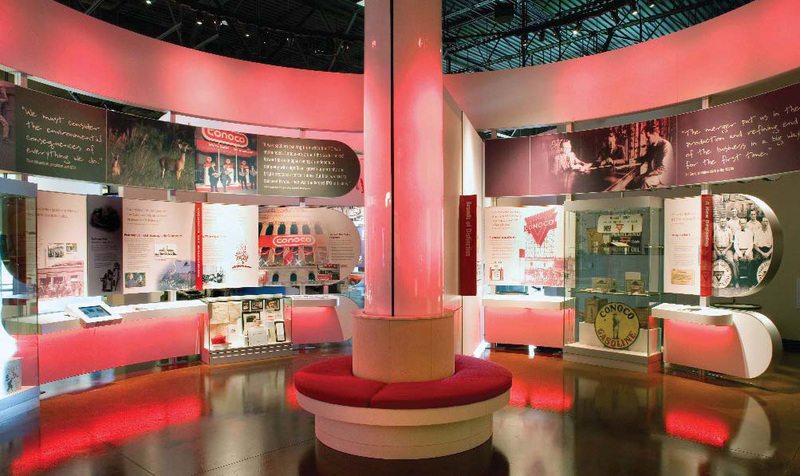 Each heritage museum boasts the entire history of the Conoco Phillips organisation from foundation to present day. These projects were multi-disciplined and involved fabrication and installation of showcases, interactives, AV hardware and software, graphics and joinery elements. Our two individual specialist teams worked in unison with local support to great effect, resulting in the delivery of two world class museums. The Dickens' former home was furnished to recreate an accurate Victorian setting. The project, designed by PLB, increased the museum space for the interpretation and storage of the collections by 100%, introducing new state-of-the-art display and storage facilities to protect the collections for the enjoyment and education of future generations. 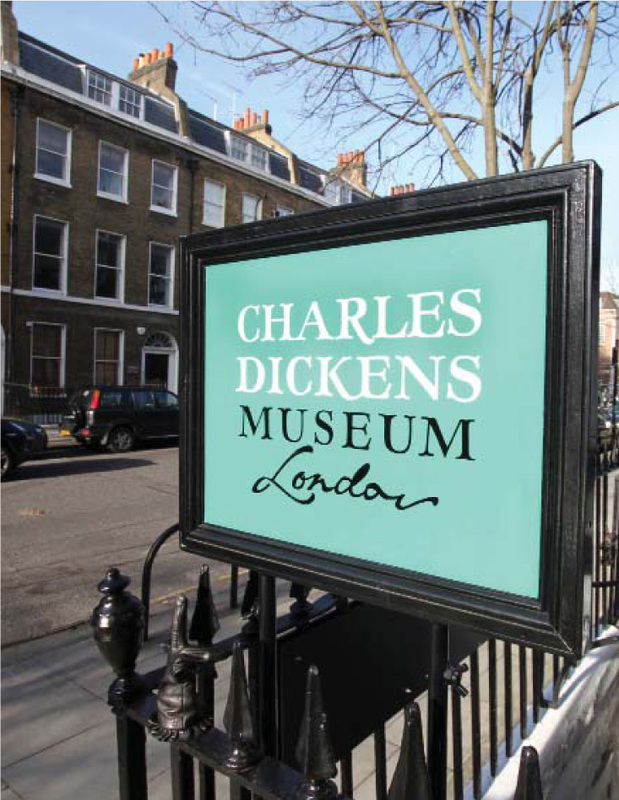 In the adjacent property, the museum opened a new visitor centre with study facilities and teaching rooms as well as climate controlled spaces for the national Dickens library and archive. Beck understook the exhibition fit-out works which included scenic dressing, period furniture and lighting, graphics and way finding, showcases, interactives and models. 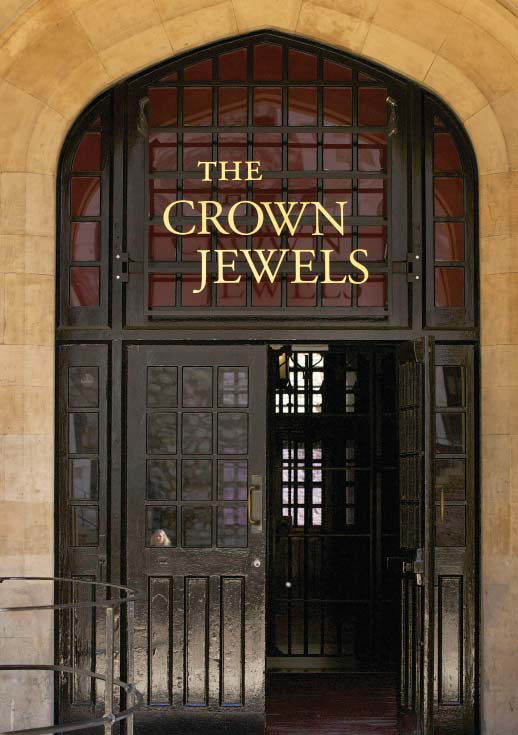 To mark the Queen's Diamond Jubilee in 2012, the project designed by RAA provided a new representation of the Crown Jewels through the overhaul and refurbishment of the pre and post treasury interpretation galleries, the treasure and the external entrance area. As main contractor, Beck coordinated the off-site fabrication and on-site installation of a full and comprehensive scope of works. The intention was to create a new and exciting visitor experience that started outside in the exterior queuing area and continued throughout the Waterloo Block to include new decorations, lighting, ambient soundtrack throughout, large-scale graphics, AV film representations and the re-display of the collections within their existing showcases. Leeds City Museum is centrally located in Millennium Square, in the former Civic Institute building that holds a Grade II listing. The stunning museum designed by Redman Design presents lively and informative displays from the impressive collections of objects and arts cared for the Leeds Museums and Galleries. Beck carried out works across five major galleries which included the history of Leeds gallery. This is a large area with a detailed floor map of the city, interactive podiums and five large-format project screens suspended from the grand ceiling, playing out stunning footage. Works comprised display cases, AV displays, interactives, joinery, decorations, scenic reconstructions, models, graphics, floor finishes, electrical and lighting. 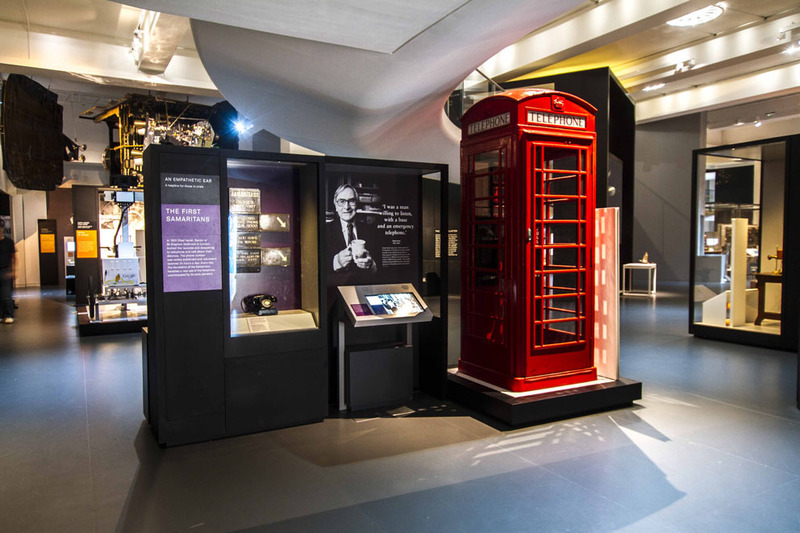 Beck, an internationally renowned museum fit-out contractor, has been established for two decades and is the world’s leading museum, science and visitor centre specialist. With over five hundred successful projects around the world, Beck is the go-to museum team regardless of project size or location. The company’s ethos is to provide an elite quality service and to turn clients’ visions into a world-class reality.